The LEGO Movie 2: The Second Part won the weekend’s box office, but it wasn’t pretty. The film took the number one spot, but only with a little over $34 million. This was well down from the $55 million the film was expected to bring in just a few weeks ago. This was a sequel to a well-loved and very successful film. So, what happened? While the reviews of The LEGO Movie 2 have been down slightly compared to the original, the original had near perfect reviews and the sequel is only trailing behind slightly, so the actual quality of the film doesn’t seem to be the issue. Instead, there are a number of other factors that lead to this unfortunate circumstance. None of these issues are a problem in and of themselves, but each stacks on the others to create a serious problem at the box office. While The LEGO Movie 2: The Second Part may be the first direct sequel to the original LEGO Movie, it is actually the fourth theatrical release of the LEGO franchise, and four movies in five years is actually kind of a lot. While I don’t usually hold to the idea that franchise fatigue is a thing, people will go see any movie if they think it will be good, and again, that’s not the sole problem here, but the additional LEGO movies failed to deliver what the original did and may have diluted the franchise. While The LEGO Movie and The LEGO Batman Movie were largely both critical and commercial successes, The LEGO Ninjago movie, which came out the same year as LEGO Batman had a harder time finding an audience. Even Batman, while it was a fun movie with a great character from the original LEGO Movie, was a much better film if you were a fan of the Batman franchise than if you were a fan of the LEGO franchise. It has simultaneously been a long time since we’ve seen these characters in a movie, and perhaps not long enough since we’ve seen a LEGO movie at all, for people to get excited again. The issue that this was yet another LEGO Movie could have been overcome if the promotion of The LEGO Movie 2 gave us anything more to sink our teeth into beyond “hey, it’s that movie you liked…again,” but that didn’t happen. The marketing felt like it was on autopilot. It didn’t feel like it was promoting a major franchise film, it felt like it was just another movie. It seems that in the era of social media, the idea that a big brand “sells itself” has gained traction, but the fact is that’s simply not the case. If LEGO is going to be its own franchise, then The LEGO Movie sequels need to feel like they’re the Avengers of this particular cinematic universe. 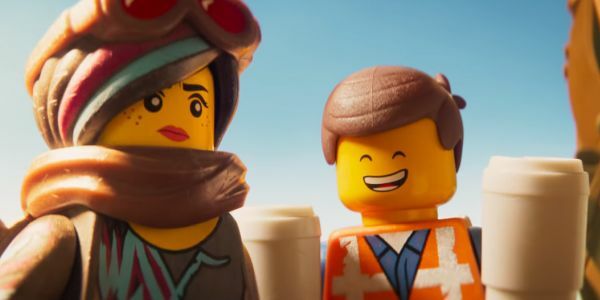 The marketing push behind The LEGO Movie 2 didn’t make this direct sequel feel like it was any more special than The LEGO Ninjago Movie, and if the audience doesn’t feel like they need to be sure to see the movie, they’re not going to bother. One problem that The LEGO Movie 2 is having to deal with is one that isn’t the film’s fault at all. The box office has been having a rough time all year. Box office revenue is down 14% compared to this time last year. There just hasn’t been anything that has excited people to go to the movies. There was hope that The LEGO Movie 2 might be that film, but it seems that it actually needed something else to get the ball rolling first. 12 months ago, it was hold overs from December that kept people going to the movies. Jumanji: Welcome to the Jungle, Star Wars: The Last Jedi and The Greatest Showman all were still doing well, putting up around $100 million a piece just in 2018. Today, only Aquaman has been able to match that feat, and only one movie that’s opened this year, Glass, has been able to do the same. Part of what makes the summer movie season work is the momentum of people who plan to go to the movies during that period. While release dates play less importance than they once did, that momentum has been largely stalled this year. Going to the movies just isn’t what people are doing with their weekends right now. We continually lament the state of Hollywood and all of the perpetual sequels and franchises that are being built. If any movie does reasonably well at the box office, it seems that the cinematic universe won’t be far behind. In the case of The LEGO Movie, that seems to be exactly what happened. There isn’t actually anything wrong with that as far as it goes, a sequel would seem to have a built in audience, but that isn’t always the case. For every sequel that surpasses the box office success of the original, there are several more that come up short. Sometimes a movie’s success would seem to indicate that an audience really wanted to see what they were given, but sometimes it seems that once they see it, the appetite is gone and they don’t really need to see any more of it. Part of the original LEGO Movie success may have been the novelty of the concept. Now that the novelty has warn off, the sequel is less interesting. In only one of these things had been a problem, The LEGO Movie 2: The Second Part likely would have been able to overcome and put up the $50 million or more it was expected to do. However, when each of these problems combines into what essentially became a “meh” movie launch, you’re going to get “meh” box office numbers as a result.